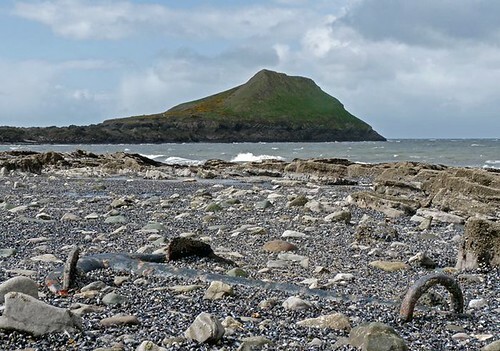 If you take a walk down to the tidal causeway at Worm's head on Gower you may be lucky enough to stumble upon a rather impressive artefact from one of the better know wrecks in the area. Nestled amongst the silt and muscle beds the retreating tide reveals a substantial anchor now firmly fixed into place. 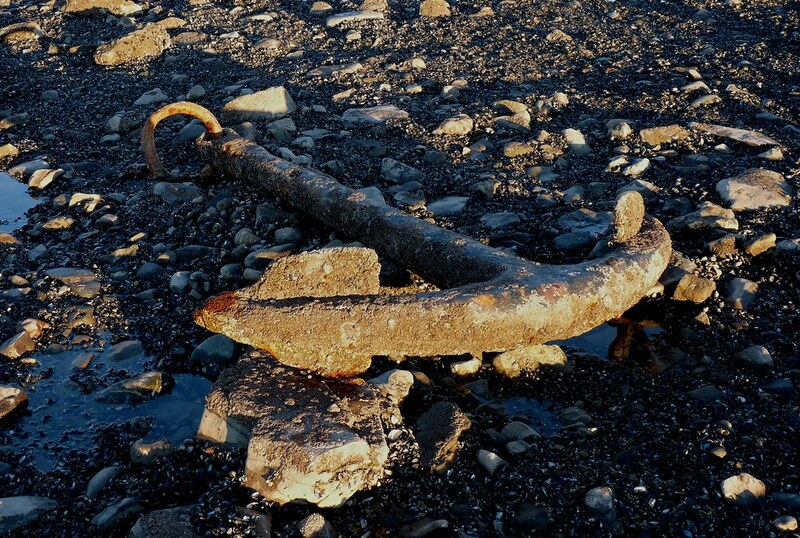 The anchor originally belonged to the Norwegian barque Samuel. The ship ran ashore at 7pm on Tuesday 12th February 1884, along with several hundred tonnes of black gold (coal) whilst on a routine trip from Cardiff to Santos. The alarm was first raised by the local coastguard at Rhossili who saw the ships lights close inshore. Fortunately the coastguard was able to get a line aboard and rescue all eleven crew members. Samuel however was already badly damaged and eventually broke up on the rocks. As always the locals were available to take advantage of these unfortunate events. After the coal cargo had been sold to local farmers a rough track was cut down the cliffs at Rhossili to allow the transportation of the coal back up to the village. This was then sold on to the locals who were able to keep themselves warm through winters for years to come. 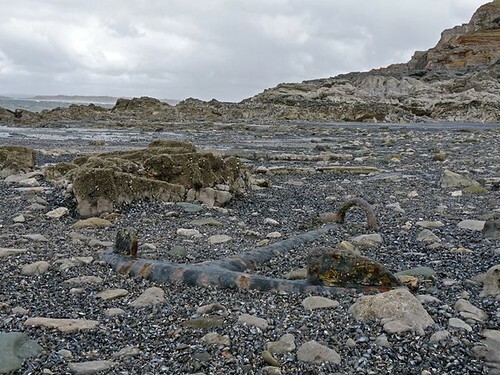 The only evidence now left is the anchor, providing a stark reminder of the perils of these waters. NOTE: Subsequent research has revealed that it is by no means certain that this anchor does belong to the Samuel. Although the Samuel is known to have gone down here and would have carried an anchor of this type, other vessels have also met their end on these rocks. Unless any more information reveals itself however I will keep this one recorded as the Samuel. All images and text (c) Adam Tilt 2012. Theme images by Ollustrator. Powered by Blogger.